Today’s Monday Like is another simple short documentary. I like the tight descriptive shots and wide reveals. No crazy effects, just simple well framed shots. 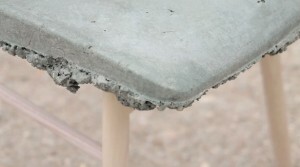 well proven chair from Marjan on Vimeo. Very simple storytelling. I like it. The subject itself is not terribly interesting to me, but your comment on it rings true – effective visual storytelling with well composed, mostly static shots (some with only the slightest movement). This is a rarity these days with all the various cinematography fads passing by. Personally, I feel like it could have used some color work in post, but it still looks nice.